The ST ViewScan is the most advanced microform scanner available today. Its scanning capabilities and simple user friendly software make it an ideal multi-purpose scanner for library, governments and businesses alike. The ViewScan 4 can view all microforms, including roll microfilm, microfiche, aperture cards, jackets, micro cards and even scans colour negs and slides. ST Imaging has received Platinum Awards for their products four years in a row, the ST ViewScan 4 is the latest digital microfilm viewer and takes the greatest features from earlier award winning models, combined with modern software and usability to deliver an all new user experience. Plus, its small footprint can be incorporated into any location, from a small office to a vast research room. Its technological updates make it the most efficient viewer to date. Download the ST ViewScan 4 Brochure and Specifications sheet. The all-new ST ViewScan 4 uses similar features to previous models including the film control keys on the carrier. If you already have an ST ViewScan III, it’s easy to take the next step to an ST ViewScan 4 (provided your PC has a USB3 connection) through a simple user-installable camera module and software upgrade. The ST600K Book scanner system is a user-friendly touch-screen kiosk able to easily scan newspapers, magazines, documents or books without damaging them. Users can save their scan to a USB drive, the cloud, or email. The ST600-K is versatile and well adapted for public and internal users in libraries, government departments and businesses alike – it’s a “face-up photocopier/scanner”. It’s the perfect solution for public use with a small footprint making it easy to place in any environment. 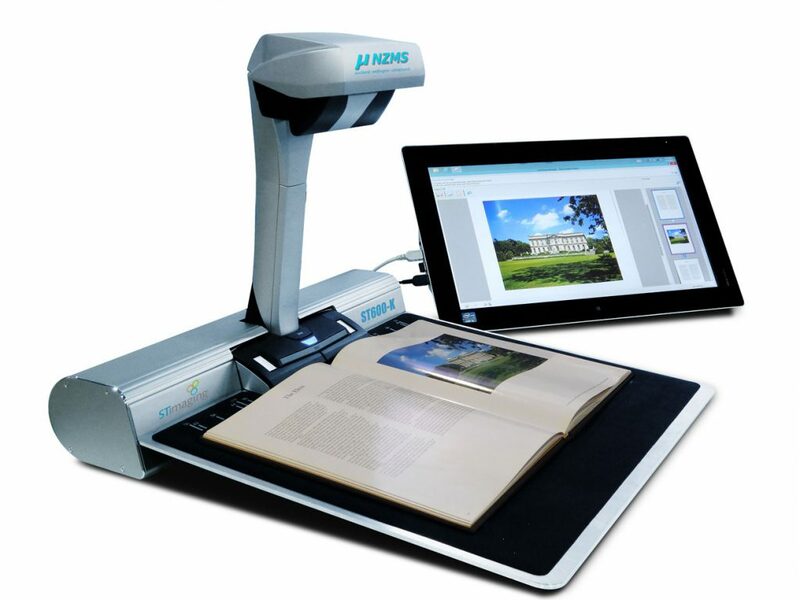 It is so versatile it can scan loose paper, bound material and delicate items, and with great features like continuous scanning through page turning detection, book curve image-flattening, finger removal, OCR and searchable PDF creation your users and staff alike will love it.